Want to become a STNA in Cleveland? CNA jobs are projected to grow 11% by 2026, and Cuyahoga County has 100 registered nursing homes to employ STNAs, 30 of which are in Cleveland. Cleveland is a top-ranked city for CNA wages, which average at $15/hour, but the top 10% of the nation’s nurse aids earn $50,000. What are the CNA requirements in Cleveland? Here’s how to prepare for your STNA state exam and how to become a Certified Nurse Assistant in Cleveland. A STNA is a State Tested Nurse Aide (STNA) also known as a Certified Nurse Assistant (CNA). It is one of the most important roles on the healthcare team. Nurse Aides are fully responsible for the general care of patients. This includes taking and recording vital signs such as heart rate and blood pressure, assisting them to and from their bed, aiding them during meals, and attending to personal hygiene. To start a STNA training program, you need to be at least 16 years old, have a high school diploma or the equivalent, pass a criminal background check, and have up-to-date immunization records. Next, you will need to find accredited STNA classes in Cleveland and successfully graduate from the nursing assistant program. You must then pass the required state exam and register online on the Ohio Nurse Registry in order to qualify for a STNA job in Cleveland. Ohio has a high CNA employment rate, according to the U.S. Bureau of Labor Statistics. There are more than 70,000 nurse aides currently employed. There are more than 100 registered nursing homes in Cuyahoga County for employment, 30 of which are in Cleveland. Cleveland offers a competitive pay rate, at nearly $15/hour, for starting CNAs. Cleveland is home to over 100 of those registered nursing facilities, and over 200 home care employment options. Northeastern Ohio is one of the nation’s top nonmetropolitan areas with the highest nursing assistant employment, more than 5,000 STNAs are employed. You can also get more detailed information by connecting to our page at How to Become a CNA in Ohio. If you can’t find a fully-funded CNA program, you can also opt for a partially-funded program such as the Certified Nurse Assistant Training Program with Goodwill Cleveland. The 11-week training program provides low-cost CNA classes for low-income students who just pay a nominal eligibility fee and must pass a nurse entrance interview. After graduation, the career counselors also help students find STNA jobs in Cleveland for next 5 years. You must be 18 years old, have no criminal background, and pass a reading and math assessment. Employers are in need of nursing assistants and many are willing to pay for your training and certification. CNAs are able to promote quickly and advance to levels such as Licensed Practical Nurses and Registered Nurses. Due to this career advancement, there is a high turn-around rate for CNAs and employers must fill their nurse vacancies. 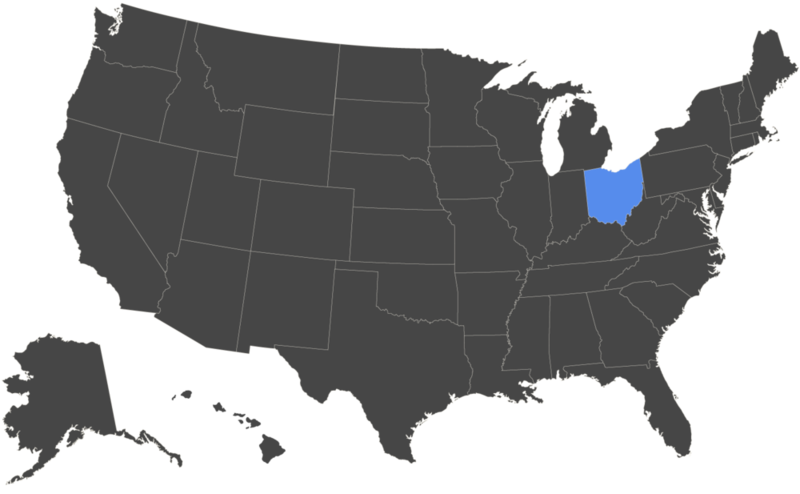 In Ohio, if you are employed within 12 months of completing the training, you can apply for your employer to reimburse your training. 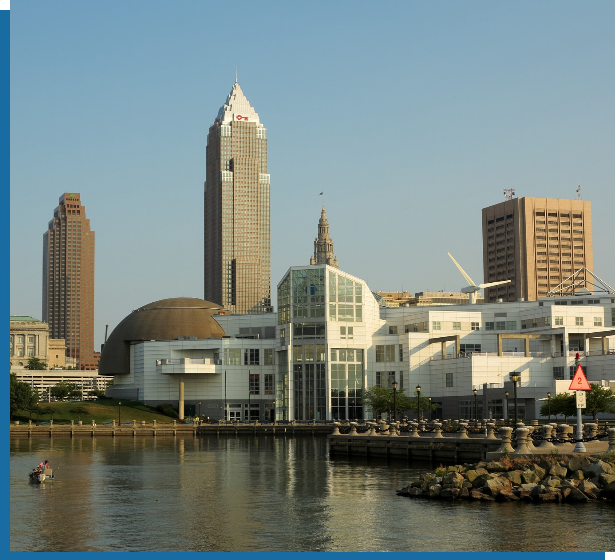 Before you start your training, search for CNA jobs in Cleveland to connect with possible employers. Speak with the Human Resources department and ask if they reimburse for training or if they have partnerships with specific CNA schools. They may even pay for your state exam fees or provide on-the-job training. Nearly half of all CNAs are employed at nursing facilities, followed by 30% at hospitals and 13% at assisted living facilities, according to the Bureau of Labor Statistics. In addition to providing training, Job Corps helps students with daily living expenses such as residential housing, food service, health and dental care, a bi-weekly basic living allowance, and a clothing allowance. Students can move to the Jobs Corps center where they live, train, and study in their chosen career field. When you graduate, there are careers advisors and counselors who will help you write your resume, plan your career, continue your training on-the-job, and find CNA jobs in Cleveland. Contact the Cleveland Job Corps Center for more information about their Free STNA program in Cleveland. Heart to Heart Healthcare is a training competency evaluation program (TCEP) teaching students to become State Tested Nurse Aid (STNA)/ Certified Nurse Assistant (CNA). All basic information to enroll in this class are within its website under the FAQ tab. That being said, I would highly recommend this course to upcoming STNAs. Jackie Fisher is very passionate instructor who knows the material very well. Arguably, the tuition is much cheaper compared to other TCEP. Overall, Heart to Heart Healthcare is the best TCEP within the Cleveland, OH area. - Thera P.
Great STNA program! l would recommend this class to anyone wanting to become an nursing assistant. Thank You Phoenix Heath Care Institute. - Elissa H.
Clean place to work. Great knowledge staff! Great place to send you love ones.all around caring facility. - Marcia W.
I went here to get my STNA training and I loved it. Very nice, helping & understanding training. The teacher Ms Tameka was very helping & works with you. Good hours & flexible scheduling too. - Tanji T.
The staff in the nursing department is helpful, the campus is clean, and has everything a student could need to succeed. It's great they have a nice weight room, pool and basketball court for students. Highly recommend! Tom T.
I feel this is the greatest skilled nursing home in Ohio bar none. - Ken W.
It was most definitely worth it within 12 months I obtained my Practical Nursing Diploma. - Edna F.
Friendly ,very helpful just starting - Kathy B. Nice place. They take student financial aid. - Tim B.